Understanding how the brain works is important, but going hands-on to test drugs or other treatments can be difficult. 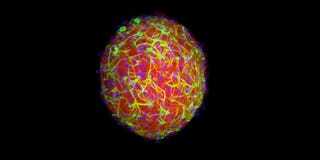 Which is why a team from Brown University has created these miniature ball-shaped brains for use in the lab. While these balls of brain cells don’t actually perform actual cognition, they do produce electrical signals and create neural connections inside themselves, making them an ideal test-bed for neuroscience research. They’re actually made from rodent brain samples — apparently a small biopsy is enough to create thousands of mini-brains —which are cleaned, the appropriate cells isolated, and then seeded on agar. Over the course of a few days, they grow into a sphere about a third of a millimeter in diameter, and over the course of a couple of weeks they develop a small neural network. The research is published in Tissue Engineering. They’re not the first small brain models to be made, but they are very easy to make — and cheap, too. In fact, the researchers reckon that each mini-brain costs just 25 cents to make, which will likely make them an attractive prospect for neuroscientists keen to test new techniques in the lab.